Spring is officially here. This year's extensive rain across the country graced us with an abundant flourish from nature. Grass is greener, flowers are blooming and butterflies are dancing. But, while sunnier skies might make life feel a little brighter, the increased temperatures also mean that allergy season has now announced its arrival too. Fortunately, a bit of proactive planning can make all the difference in preventing itchiness, teary eyes, sneezing and congestion. Dr. Mao is currently traveling, but he pre-recorded this particular video to share with you his very easy tips for managing Spring Allergies. Get ready to enjoy a beautiful season ahead! An increasing number of women are having babies later in life. More of us than ever are having babies starting in our mid-thirties. The reasons may be varied, but the goal is shared. How can we stay healthy throughout conception and pregnancy and how can we ensure that our babies remain healthy too? While every woman’s pregnancy is unique, older mamas-to-be might face some unique challenges that younger women often do not. Knowing what challenges might arise and how to reduce risk increases the likelihood that you will enjoy a happy and healthy pregnancy. This month Dr. Dao is going to walk you through his tips to make the most of this beautiful journey. We can’t wait to share the positive choices you can make now. By committing to a healthy lifestyle, you can ensure the healthiest pregnancy and birth possible for you and your baby. Join Dr. Dao on our Tao of Wellness Facebook page for his new monthly interactive live series. This Q&A is your chance to personally connect with him and ask your own questions about women’s health, fertility and wellbeing. Zoom Support at 1.888.799.9666 (press 2 - Support option). 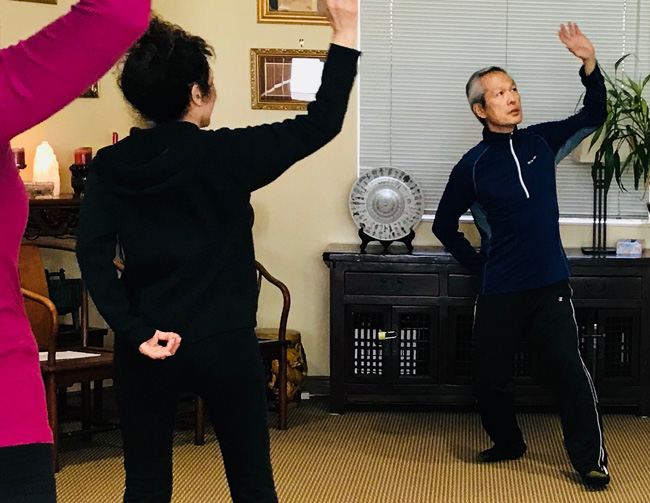 Master Ni, Hua-Ching, the 37th-generation practitioner of Traditional Chinese Medicine, as well as Taoist Healing Arts, has written many well-known books on spirituality. Led by Dr. Dao, our monthly tele-study group is open to everyone. There is a wide range of experience in this group from newcomers to long-term participants. Together, we will explore Master Ni’s writings. Participants take turns to select a passage from his books so that as a group, we can delve into the meanings of his writings and how we can apply this knowledge into our daily lives. This month’s selection comes from Suuz Martines. She is interested in references to helpful items for our spirit, altar and space. She also invites us to consider: What practices/rituals can be used to cleanse/remove/protect repetitive incidents from happening? Why does it seem that some magnetize to repeat? How, in business and personal life, after being bullied in childhood and a serious illness, does one stand up for things that are just wrong such as intellectual property, business concerns, personal boundaries, and ultimately move on? You are also encouraged to join the Wellness Living newsletter (taostar.com) and Infinichi Facebook page for further event updates. Note: If you are on an iPhone please ensure that you go to your privacy settings and allow MICROPHONE access. If you are joining this call from both your computer and phone then please ensure that your computer audio is turned off so that you do not get kick-back noise. As a participant, if you do not have a mute button on your phone then you can use *6 to mute and un-mute your call. If you have issues connecting for any reason then please contact Zoom Support at 1.888.799.9666 (press 2 - Support option). Dr. Mao Shing Ni & Frances Lam, L.Ac. In the face of a cancer diagnosis, most individuals will immediately assess how to root out the disease with conventional cancer treatments. Many experts now suggest that it’s time to take a more holistic, long-term approach to the disease so that there is closer attention paid to the overall health of the individual. The emerging field of Integrative Cancer Management is a patient-centered, system of comprehensive care that uses lifestyle modifications, acupuncture, mind-body practices and natural products. This rapidly expanding field of care fuses the best of conventional and alternative treatments. Dr. Mao and Frances Lam will explain the latest developments in integrative programs that strive to battle cancer while nurturing the patient. Phyllis Koenig, a cherished Tao of Wellness patient, will also join us to share her cancer journey. Tune into the benefits of complementary care that will ultimately improve the quantity and quality of life for individuals with cancer. 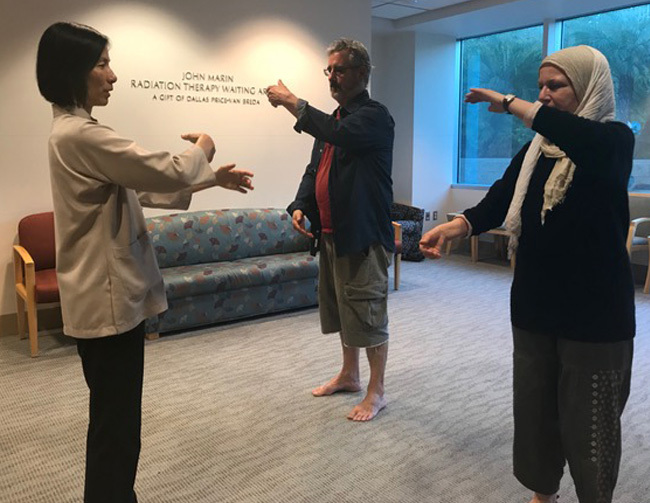 National Cancer Survivors Day was a celebration of living, learning and growing, with yoga, Qigong, therapeutic art, massage, meditation, healthy cooking and more! At Tao of Wellness Santa Monica. Cost: $60 per month, or drop-in single class $18, space permitting. Taught by Frances Lam, L.Ac.